Born at Honesdale, Pennsylvania, August 29, 1899, he graduated from West Point in 1920 and was commissioned in the Coast Artillery. After graduating from the Coast Artillery School in 1921, he served in Rhode Island and the Philippines. He was an instructor at West Point, 1926-30, and after a second tour in the Philippines, 1934-35. After graduation from the Command and General Staff School in 1936, he was an instructor at the Coast Artillery School until 1939. In 1940, on graduating from the Army War College, he was assigned to staff duty with Coast Artillery units in the South. 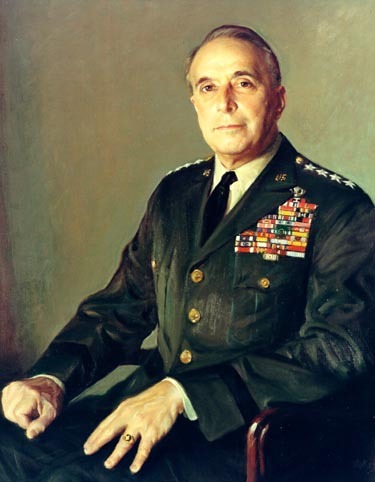 In May 1941, by then a Colonel, he joined the General Staff in Washington, serving in the War Plans Division and on the Army Ground Forces Staff. In June 1942, he was promoted to Brigadier General in command of the 34th Anti-Aircraft Brigade, but soon received appointment as Assistant Chief of Staff of the Allied Forces Headquarters, under General Dwight D. Eisenhower, in London. After aiding in the planning of the North African invasion, he resumed command of the 34th in February 1943 and led it in the opening phases of General George Patton's Sicilian Campaign. In late June 1943, he became Deputy Chief of Staff of the Allied 15th Army Group (U.S. 7th, British 8th) under General Sir Harold R.L.G. Alexander. He was promoted to Major General in November 1944 and remained with Alexander when the latter became Field Marshal, Supreme Allied Commander, Mediterranean Theater, in December 1944. After a year as Director of the Office of Military Assistance in the Department of Defense, he underwent parachute training - at the age of 51 - and was given command of the 11th Airborne Division, Fort Campbell, Kentucky. In November 1962, he became Commander of U.S. Forces in Europe, and in January 1963 succeeded to the post of Supreme Allied Commander, Europe. He retired from the Army in July 1969. 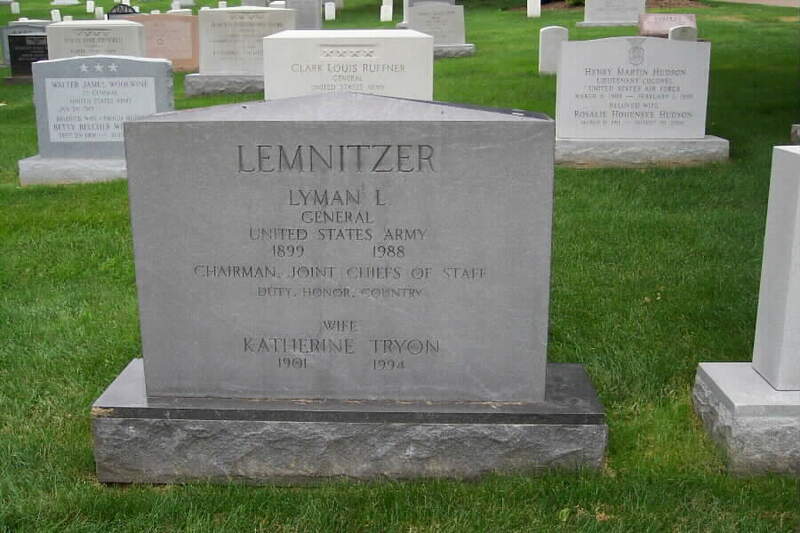 In 1975 he was appointed by President Gerald Ford to a blue-ribbon panel to investigate domestic activities of the Central Intelligence Agency (CIA). He was greatly respected as a strategist, one of the most durable soldiers of his time, his powers in no degree were diminished even in advanced age. 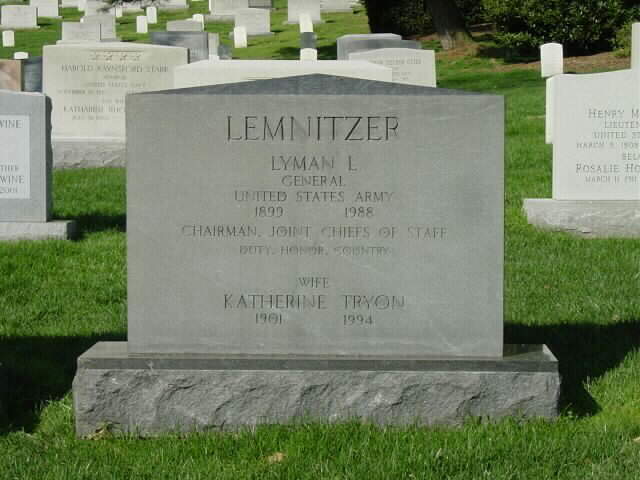 He died on November 12, 1988 and was buried in Section 30 of Arlington National Cemetery. 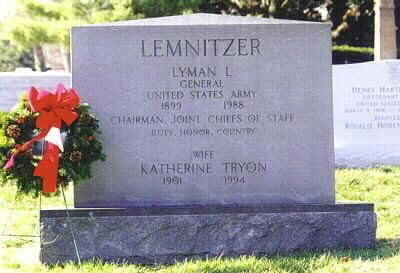 His wife, Katherine Tryon Lemnitzer (1901-1994) is buried with him.